In a large stock pot, heat olive oil over medium heat. Add onions, cumin, cayenne, and cinnamon. Continue cooking until the onions caramelize and are slightly crisp, about 20 minutes. Remove about half the onions and set aside for garnish. Add cooked rice and lentils to the remaining onions. Saute, stirring frequently, until all the ingredients are incorporated and warm, about three minutes. Season with salt and pepper to taste. 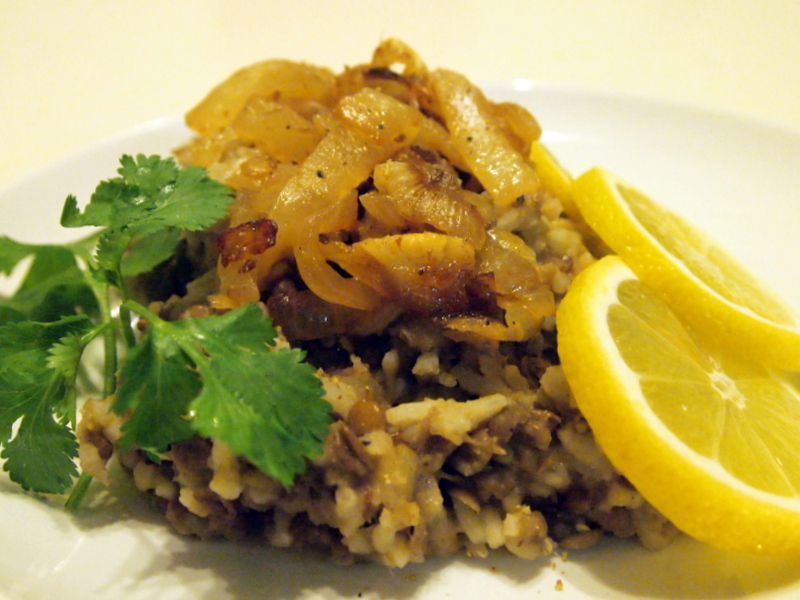 Garnish with remaining caramelized onions, lemon juice, and chopped cilantro or parsley.